" Nice Place To Visit "
Greetings Guest. 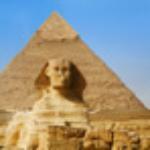 Congratulations to your 35th Wedding Anniversary and thank you for sharing your great experience with us. 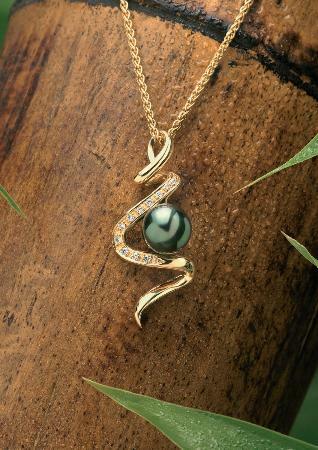 Your seven seas necklace is always going to remind you both of your wonderful journey to this day and the future. 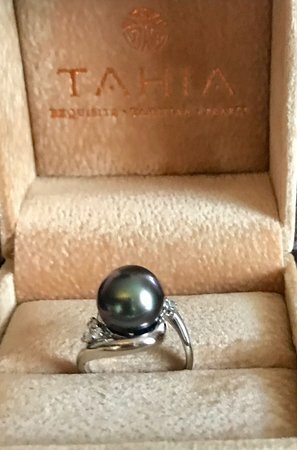 Tahia Pearls Team. Iaorana our happy customer. We appreciate your remarks and also for openly recommending our brand. We are always thankful to hear our customers openly doing it for us. Greatly appreciated. Tahia Pearls Team. Greetings Craig. Thank you for taking your time to review us and we really appreciated all the positive points that you bought up. 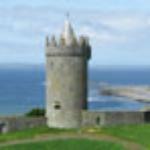 We hope to see you again on your next visit. Tahia and her Team. Professional, beautiful designs and excellent service! 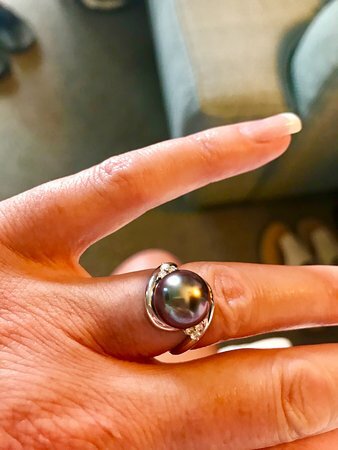 Unique and high quality pearls with a great service! 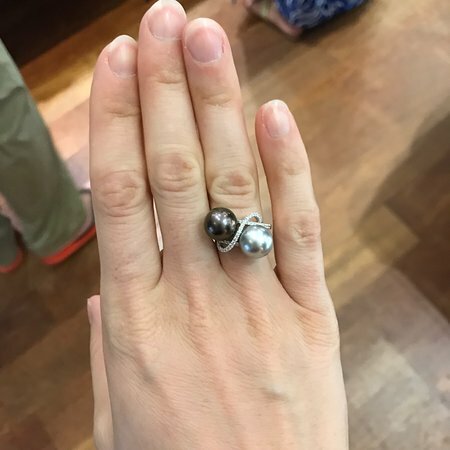 Loved this store, so many beautiful and unique pieces it was hard to choose. I never felt pressured to buy and was able to take my time to try on many pieces until I found the perfect bracelet!! Greetings Donna. Congratulations for your new bracelet and surely it will always remind you of your Tahitian trip. We are grateful that you pointed out those important points. Thank you again. Tahia and her Team. 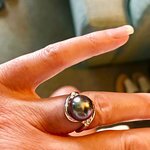 Ia Orana "dthomas" Congratulations for your Tahia Pearls jewelry and it is an important way to mark an important occasion. We really appreciate the time you took to share your shopping experience with our staffs, product and services. Thank you again. Tahia and her Team. 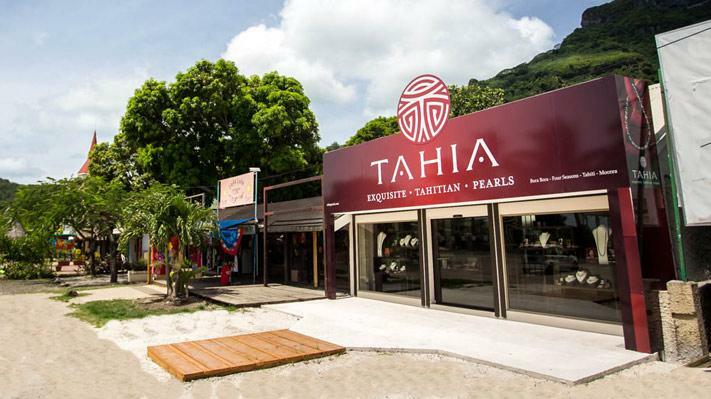 Get quick answers from Tahia Exquisite Tahitian Pearls -Bora Bora staff and past visitors. Would you please email pictures of your leather collection? 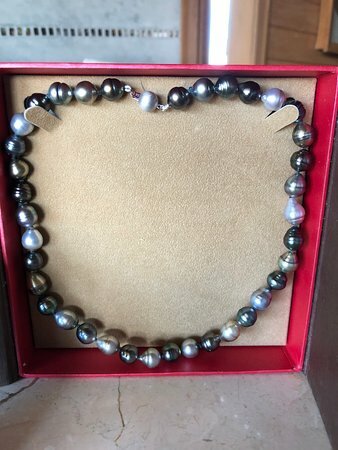 I have been seeking for a certain necklace (choker type) that I bought in Bora Bora in 2005 with three pearls - two silver and one peacock with silver bead separators on a black leather rope with a simple clasp. Thank you so much! 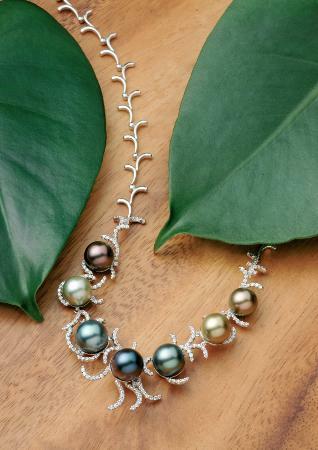 Are the pearls displayed and on sale, real locally produced or farmed pearls OR imported from Chinese factories? Hi. 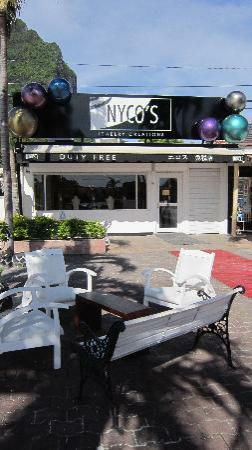 We do not sell Chinese pearls and all pearls that we sell are locally farmed. 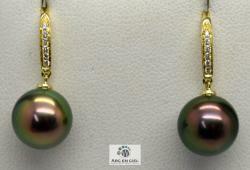 We mainly have premium qualities on White and yellow gold settings and lower grades on simple pendants or studs.